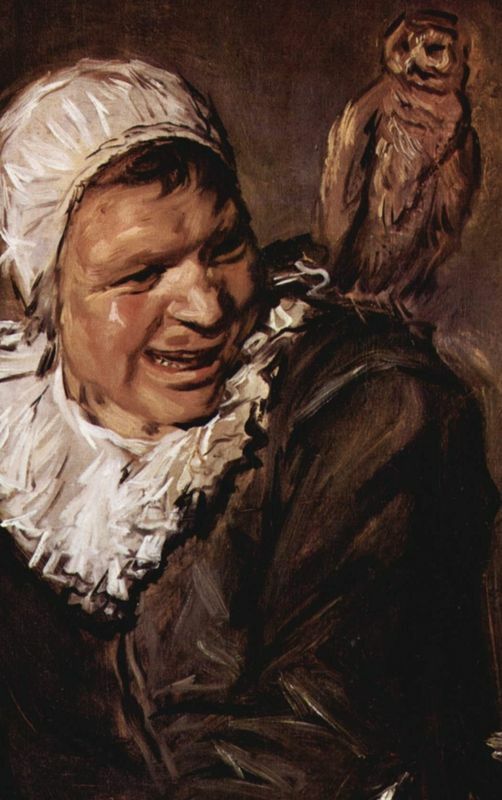 Malle Babbe refers to a folkloric character also known as the Haarlem Witch or Crazy Witch. Due to a misreading of an inscription on the inside of the picture frame, the painting was for many years known as Hille Bobbe. This painting depicts a rather unconventional appearance of the subject; Malle Babbe was a very popular barmaid in Haarlem who most likely worked in one of the wealthy Civic Guard's taverns. 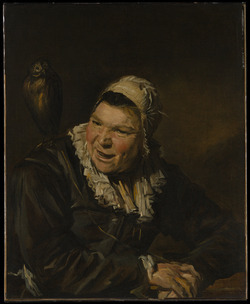 Here she is portrayed as an old woman, gripping a metal beer mug with an owl perched on her left shoulder. This unusual image led many to label Malle Babbe a witch. The folkloric tale of Malle Babbe lives on in Dutch culture and is used to describe someone who is loose and crazy. It has even become the subject of a song, describing the wild ways of Malle Babbe in her youth who, like many barmaids of this time was believed to be a prostitute. 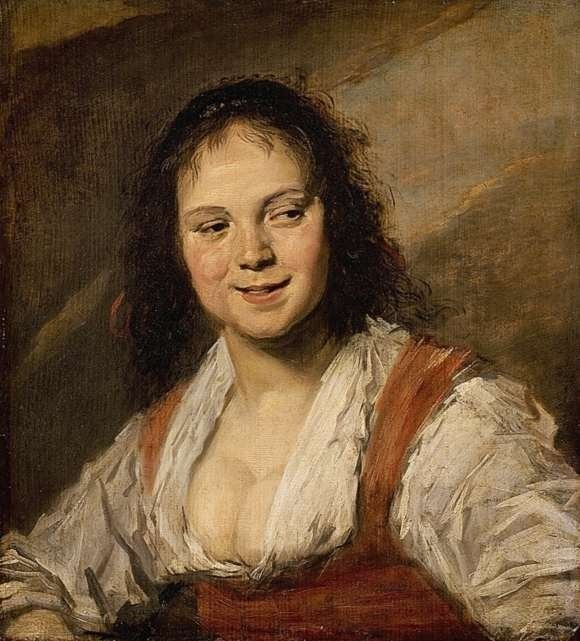 Malle Babbe was a common drunk and was perceived as a wicked character who would seduce men and conduct herself in a rather unrespectable manner. She came alive at night and lured innocent men with her powers of seduction by lifting her skirt on the street and making men sell their souls to her. Her sexuality is likened to a wild animal with no control. 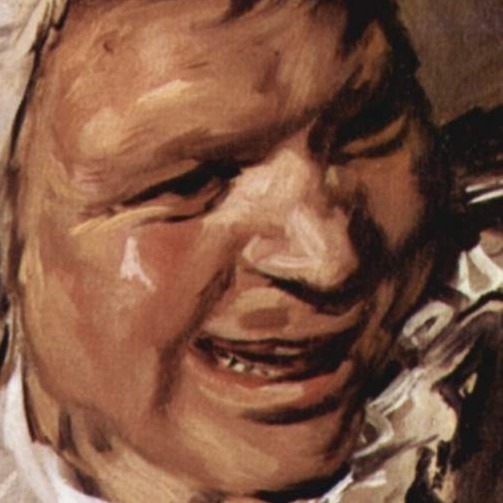 Frans Hal's image is of Malle Babbe in her old age, still glowering in the taverns. It's believed that she was not impressed with the title and image as it was recorded. Babbe suffered from Korsakov syndrome which causes the eyes muscles to weaken and relax and this would probably explain the subject's heavy eyes folds and small appearance. Records show that Malle Babbe went on to be reinstated to a mental institution in Haarlem as she became uncontrollable and dangerous as a result of her heavy drinking. After a great deal of research in the municipality of Haarlem it was found that a real Malle Babbe actually existed. She was listed as a resident of the Het Dolhuys work house which housed the mentally ill. Hals would have got to know Malle Babbe in around 1642 because his son, Pieter Hals, was also in this work house. Hals was a portrait artist through and through and so the opportunity to paint Malle Babbe, a well-known local figure at this time would have appealed to him. In true Hals' style he captures fleeting moments of gaiety in this canvas, namely Babbe's silly grin. This work is believed to be Hals' most well-defined character pieces. 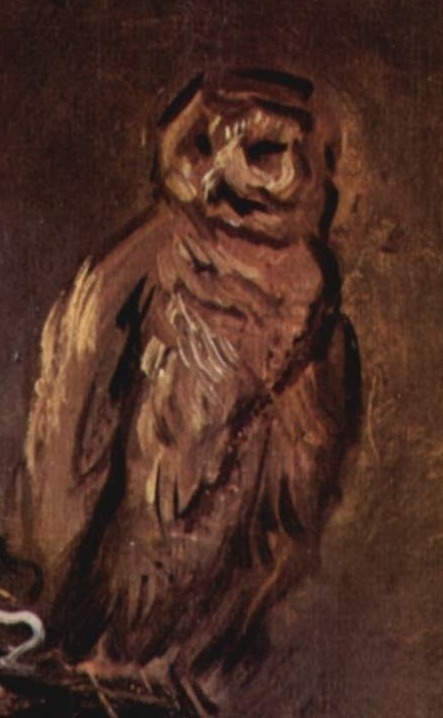 The owl represents the ancient folklore of witchcraft and drunkenness, as it comes to symbolize being active in the night just as Malle Babbe's crude character was. In the day time the bird is slow and inefficient, just as Malle Babbe's persona as she was definitely a creature of the night. Hals strokes are hard and brash due to his erratic use of the brush. This technique also captures the buzz inside the tavern itself, as the nightlife becomes rowdy and chaotic. Frans Hals focused his attention on genre paintings of real life scenarios in Haarlem; gypsies, drunkards and women working. He was fascinated by people and depicted his image as well as his perception of it. This meant that works such as Malle Babbe set Hals apart from his peers thanks to his unique painting style and technique. Although he created his works using successive layers, which was traditional at this time, he applied his underpainting very loosely and was able to pull back his hands from the canvas or panel at key moments. Hals was skilled in being able to avoid overpainting his works in terms of accuracy and diligence, unlike many of his contemporaries. 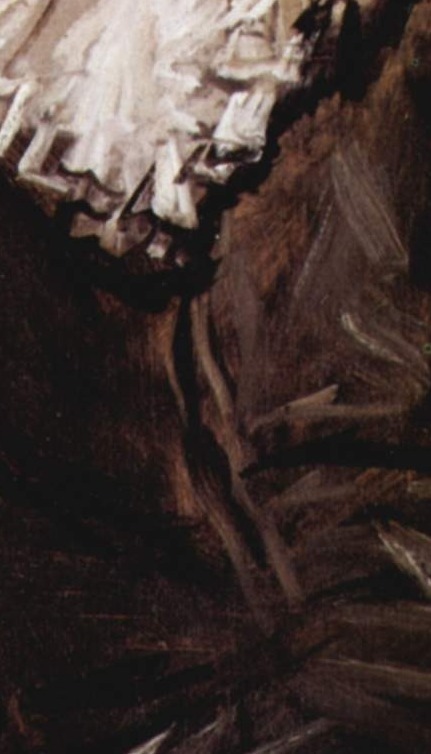 Hals somewhat sketchy paintings were original in their vivacity and fitting characterization. Malle Babbe is generally perceived as Hals' most well-defined character pieces but many argue that it lacks the close attention to detail of his other commissioned works. Here it seems that the artist's freedom for expression was more important that the patron's tastes and preferences. Yet, despite this, Malle Babbe is produced in a style very close to Impressionism an art style that did not emerge until two centuries later. For this reason, the Impressionists regarded Hals as their predecessor. There is an almost identical version of Malle Babbe hanging in the Metropolitan Museum of Art, in New York. This piece was originally attributed to Hals but nowadays it is now thought to be the work of one of his students. 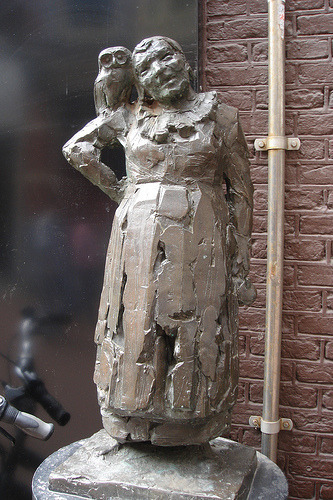 A sculpture entitled Bronze Malle Babbe was also created by Kees Verkade in 1978. It is situated on Barteljorisstraat, Haarlem. Malle Babbe is a great representation of Hals' talent in characterization and is largely regarded as his most well-defined character piece. Yet, many critics feel it lacks close attention to detail and argue that some features, such as the owl, are poorly executed. Despite this, it cannot be denied that in Malle Babbe Hals typically demonstrates his understanding of his subject and he captures Malle Babbe's essence. Many Dutch schools went on to teach Hal's work methods in the two centuries after his death and he inspired many great artists, namely the Impressionists who developed his style and techniques. Dutch Baroque has become the most noted era in art. 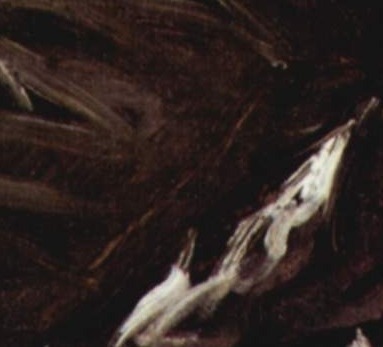 Artists were able to freely choose their subject matter and how they wanted to express is and this resulted in artist excelling in creating new art styles and techniques. Thus, the Dutch were prospering not only in society and economically but also in their art and culture. 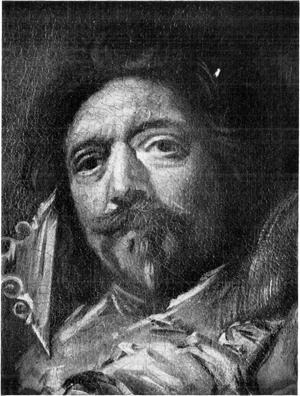 Find out more about Frans Hals and his unique works by referring to the recommended sources below.